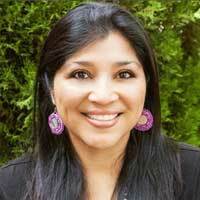 Dr. Laura Harjo received an appointment at The University of New Mexico’s School of Architecture and Planning in 2013. Within the Community and Regional Planning program, she offers a wide variety of courses for undergraduate and graduate Latin American Studies students. Harjo teaches classes on community development and GIS, and has special interests in social movements, social media, Indigenous planning, and human/civil/Indigenous rights. She also serves as one of the faculty members for iTown Studio: Ecuador, an 8-week study abroad course designed to provide students with experience rooted in the social, cultural, political and economic forces that shape the Indigenous built environment in Ecuador. Harjo’s research interests are in the areas of critical ethnic studies and community participatory methods for the engagement, empowerment, and emancipation of marginalized rural and urban communities.